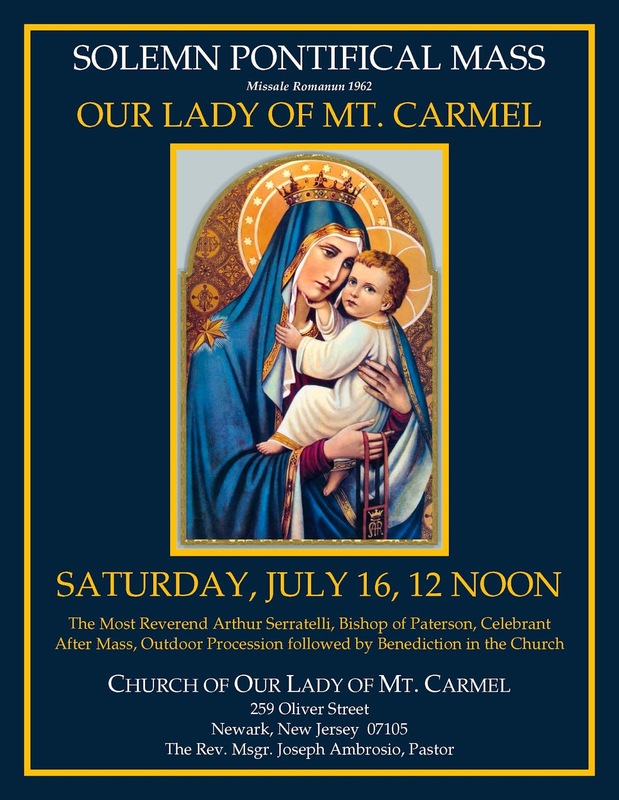 On Saturday, July 16, starting at 12 noon, the Most Reverend Arthur J. Serratelli, Bishop of Paterson, New Jersey, will celebrate an EF Pontifical Mass for the patronal feast day at the Church of Our Lady of Mount Carmel, located at 259 Oliver Street in Newark. 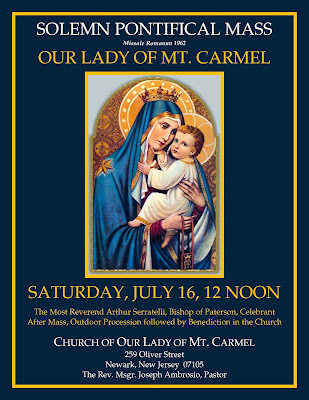 The Mass will be followed by an outdoor procession through the Ironbound with the statue of Our Lady of Mount Carmel, accompanied by a full symphonic brass band, and stopping in front of private homes and businesses, then solemn Benediction of the Most Blessed Sacrament in the church. A traditional Italian street festival will take place in front of the church with stands, food, games and live musical entertainment. The church was for some time home to St. Frances Cabrini, and the celebrant, Bishop Seratelli, is a son of the parish. 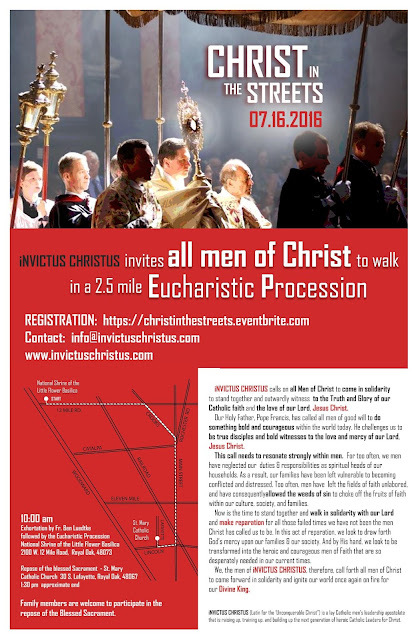 In Royal Oak, Michigan, the organization Invictus Christus is holding a Eucharistic procession, which will go for 2.5 miles from the National Shrine of the Little Lower Basilica (1621 Linwood Avenue), starting at 10:30 a.m., to St Mary’s Catholic Church. See their website and the poster below for more information.